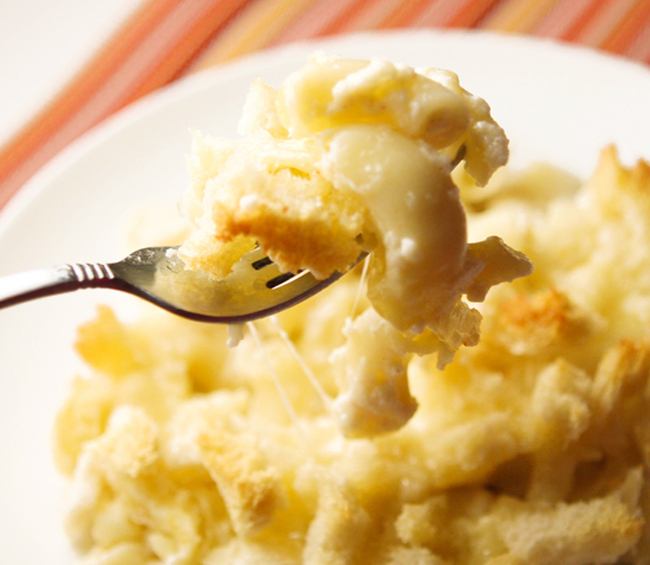 Perfect macaroni and cheese — Pip and Ebby - easy, delicious recipes! No lie, this mac and cheese is perfect! Fall is in the air! I love this time of year. Skydiving season is winding down, which means more time with Dan. The cool crispness in the air makes me want to be inside with my family, snuggling on the couch and watching Despicable Me or Tangled for the 900th time. The only bad thing about fall is that we know what's coming. Winter. The time when we are forced to be inside. There's a big difference between wanting to be inside and being forced to be inside. For now I'm glad that I still want to be inside. With the windows cracked just a bit, I love the mixed smell of a crisp October day and something delicious baking in the oven. Or bubbling on the stove. Or all of the above. I was looking for the supreme comfort meal when I came across this recipe on the NY Times website. It was everything I hoped it would be. Comfort, cheese, a teeny bit of kick, crunchiness, gooey-ness. But beware! Don't eat a large helping unless you have time to sleep. Preheat oven to 375 degrees F. Spray a 3-quart casserole dish with cooking spray; set aside. Place bread pieces in a medium bowl. Melt 2 tablespoons butter and pour it into bowl with the bread; toss. Set the breadcrumbs aside. In a medium saucepan, heat milk over medium heat. Melt remaining 6 tablespoons butter in a high-sided skillet over medium heat. When butter bubbles, add flour. Cook, stirring, 1 minute. Remove the pan from the heat. Stir in salt, nutmeg, black pepper, cayenne pepper, 3 cups cheddar and 1 ½ cups Gruyere or 1 cup pecorino Romano. Set cheese sauce aside. Fill a large saucepan with water. Bring to a boil. Add macaroni; cook 2 to 3 fewer minutes than manufacturer’s directions, until outside of pasta is cooked and inside is underdone. Transfer the macaroni to a colander and rinse under cold water; drain well. Stir macaroni into the reserved cheese sauce. Pour mixture into prepared casserole dish. 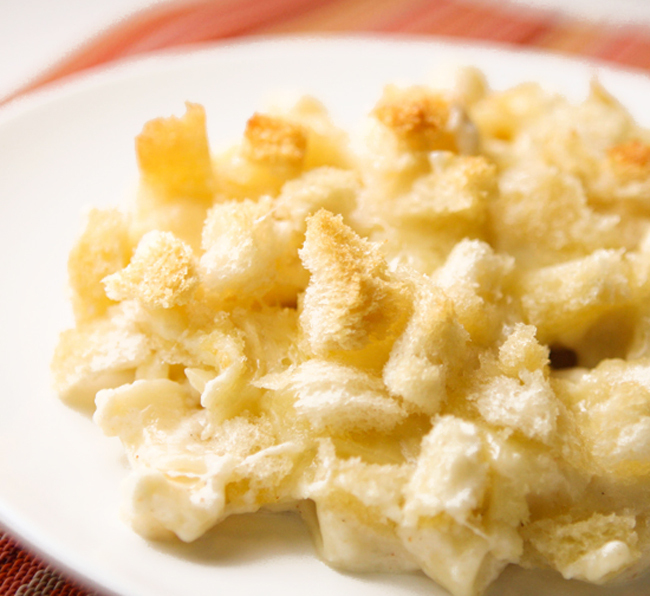 Sprinkle remaining 1 ½ cups cheddar and ½ cup Gruyere or ¼ cup pecorino Romano; scatter breadcrumbs over the top. Bake until browned on top, about 30 minutes. Transfer dish to a wire rack to cool for 5 minutes; serve.